The legislation has been agreed with the "Normandy format" partners. 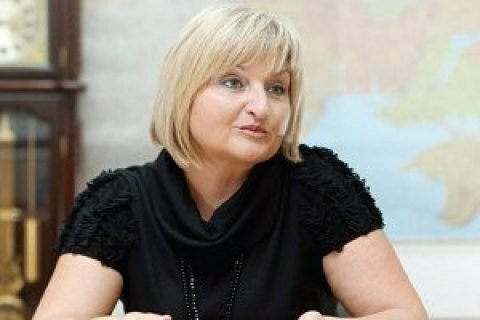 The bill on the reintegration of Donbas is 99.9% ready for submission to the parliament, MP Iryna Lutsenko said Monday, 28 August, on Channel 5. The representative of the president in the Verkhovna Rada said the contents of the bill has been discussed "even with our partners in the Normandy format." According to Lutsenko, experts and specialists from the United States along with the experts from the presidential administration, a working group of representatives of the parliamentary coalition, lawyers, representatives of the foreign and justice ministries have been involved in the drafting of the bill. She said she believed that the presidential address to the Verkhovna Rada will contain central provisions of the "fully-fledged" bill. The new bill for the first time introduced at legislative level the concept of Russia as aggressor country. Also, under the new law on the occupied territories, Ukraine has the right to use the army and is not responsible for the situation in the temporarily occupied territories. In June, NSDC Secretary Oleksandr Turchynov told Interfax-Ukraine that the antiterrorist operation should be completed. Instead, Ukraine must adopt a new format of protecting the country from a hybrid war with Russia. He said that the relevant bill was being drafted. In a later comment to Turchynov's statement, President Poroshenko clarified that the bill will concern the reintegration of Donbas and envisage a number of policies to return the occupied territories. In particular, the novelty must determine their legal status. The bill was planned to be considered at an NSDC meeting on 10 July but this matter was postponed.